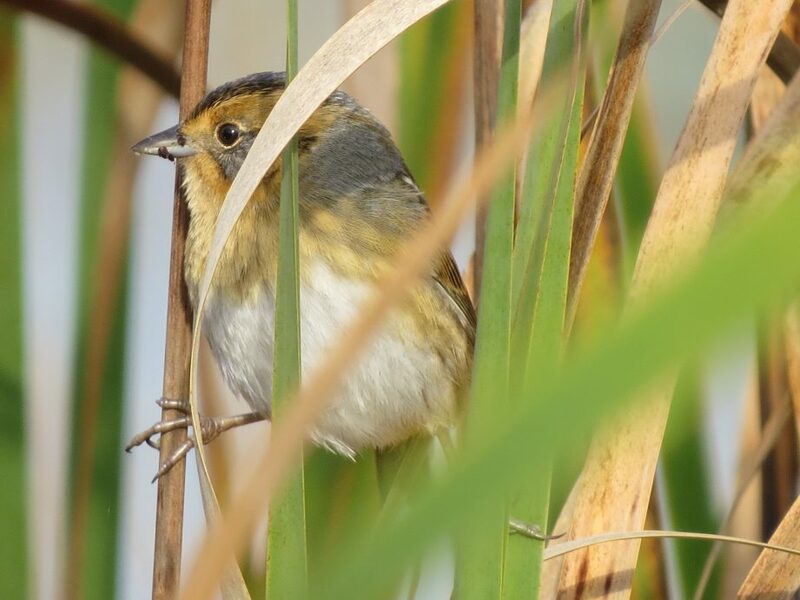 The Bay-breasted warbler is another bird species that is only seen on passage in our region during spring and autumn. The breeding males have a black mask on a chocolate brown face when we see them for a few short weeks in the spring, but lose much of their showy colours on their return passage in the fall. The young females can look like a completely different species of warbler. 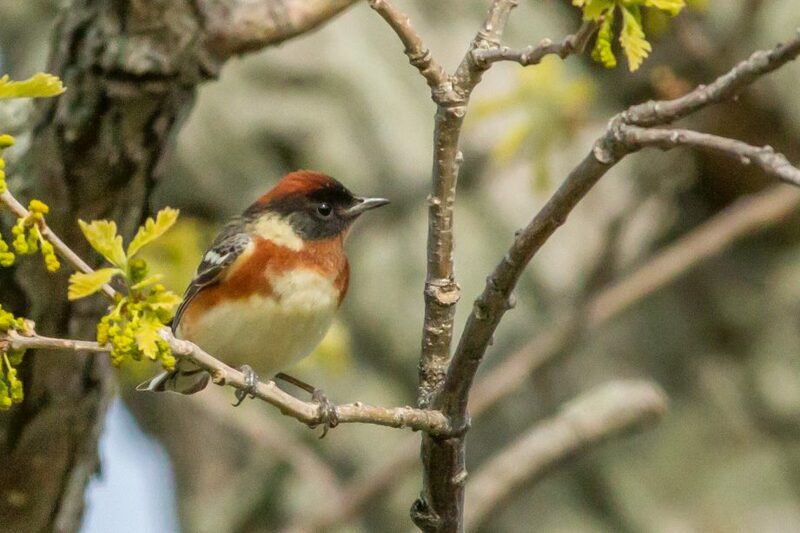 The Bay-breasted warbler is one of those “confusing Fall warblers” which novice birders, and even some experts, have difficulty identifying. The forest at Potter’s Creek Conservation Area west of Belleville is a good place to look for this and other autumn warblers. Of the many raptors we can see, the Turkey Vulture is now the most abundant raptor in our skies. Once considered a rare bird in Ontario prior to 1960, the species breeding range has gradually expanded northward into the province. Perhaps one of the main reasons for these Klingon-esque creatures population increase is the number of vehicles on the roads, resulting in more animal strikes. 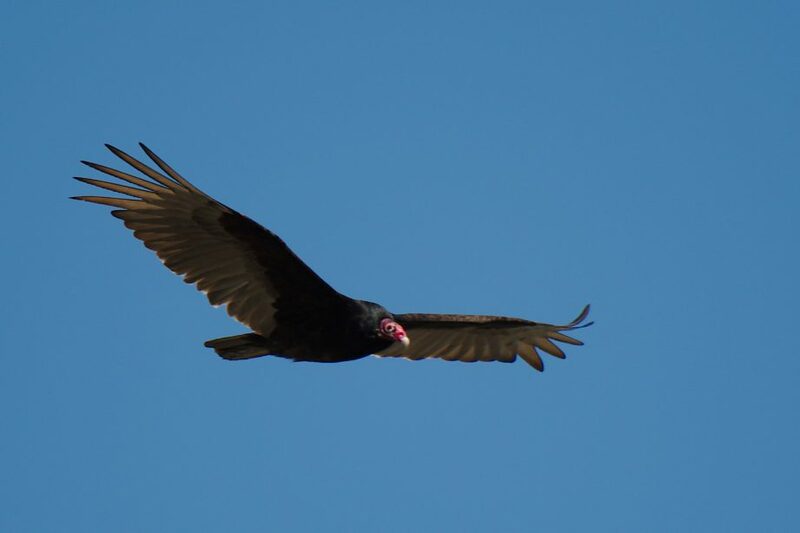 The Turkey Vulture’s diet consists largely of roadkill, and they act as natures custodians, cleaning up the squirrel pancakes and raccoon waffles leftover from our nocturnal motoring habits.